As the modern Mardukite movement gears up for its tenth active year, the long-term plans for Phase-10 are being divulged for the first time from the Mardukite Office and Council of Nabu… and all of them seem to involve the use of meditation, personal metaphysics and what many have called “magic” — the same practices which were at first held exclusively for remote communication with interdimensional or otherwise “alien” intelligences — will be explored and executed by the Mardukite Chamberlains in global efforts to force open portals, doorways and gateways for the New Age, bringing specific energies and frequencies into this realm that have previously been denied. Such almost seems like something from the pages of science fiction alone, but this is not the case. And in preparation for such undertakings for the following years, we turn our attention to the lore from the past where elements of such aspects may be best observed and even exploited. …One example we might turn to regards the subject of KHORONZON, here explained in this Mardukite NecroGate blog post as excerpted from the new 10th Anniversary edition of ARCANUM : THE GREAT MAGICAL ARCANUM by Joshua Free. 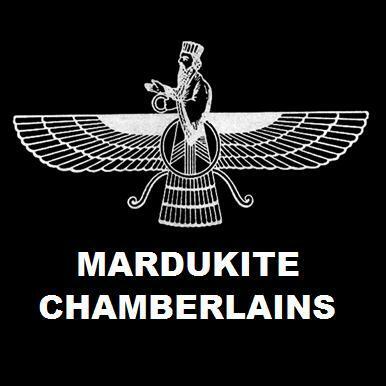 While the archives and publishing array of the Mardukites has grown considerably in the past decade, it was the ARCANUM work that first attracted many early subscribers of the Mardukite underground. KHORONZON… A powerful malignant force interpreted from the Enochian-Kabbalah system. Sometimes spelled “Choronzon” or “Coronzon,” the name refers to the “Fallen One,” or Apocalyptical Dragon, known in Enochian language as “telec vovim” or “Death Dragon.” Most scholars interpret this primordial force as “the Devil” or “Satan,” while Gnostics equate it with the Ialdabaoth energetic current. In the Necronomicon and ancient Sumerian-Babylonian tradition, Khoronzon is specifically defined as KUR, or Tiamat, the “first form” or “archetypal dragon” that leads the hordes of Ancient Ones. All traditions point to a force that is currently being kept beyond or outside of our time-space by the Gate to the Outside. Leave it to Aleister Crowley to break through the gates of the Universe. Instead of using the Triangle of Solomon for Goetic evocation, a method used widely by ceremonialists for conjuring to physical appearance (typically within a mirror), Crowley traced the Triangle of Solomon in the sands of the Algerian desert in 1909, formed the space as a nemeton, stepped within the confines and conjured the spirit of Khoronzon into himself. Previously, Crowley had encountered the entity when he was exploring the developmental system of Aethyrs (which he skryed from the thirtieth to the first) working with one or two of the dimensions a day. At one point, Crowley finds himself stuck on a rung of the Ladder of Light. To go further would mean to break the seal to the Gate to the Outside from within his own mind, sharing an astral existence with the forces of Khoronzon. Of course, Crowley went ahead and did this anyway, and it changed him for the remainder of his life. It is possible that Aleister Crowley did more than simply open the Gate to the Outside from within his own mind. Many spiritualists believe that when he did so, he unleashed many malignant forces into 20th Century civilization. This may have been a predetermined event. The Enochian System was “discovered” by John Dee and Edward Kelley, but they never successfully employed the system themselves, and were actually warned not to (by an angel named “Ave”). Then, 500 years later, Crowley appears, claiming to be the spirit of Kelley in a reincarnated form, and he effectively uses all of the Enochian Keys to perform his famous ritual working, his interpretation of the Great Work. Astral lore within the high magickal tradition sometimes makes references to places or spaces of “not” and “void” that exist between other aethyrs and dimensions of existence. The abyss represents the unknown, the most frightening and challenging state of mastery capable prior to the finality of Ascension. Sometimes the Dweller on the Threshold is not malignant, merely a guardian of sorts. In the case of Khoronzon, the entity exists between the aethyrs beyond all reasonable sensory perception. Legends suggest that there are still worshipers of the Ancient Ones, ever seeking to allow these forces to manifest in the Mid-Branch planes of human existence. But according to the apocryphal texts and prophecies, this final battle of “Sky Dragons” is inevitable. The Rite of Summoning requires experience and authority in the Spirit World – and the altered states attained by Shamans who walk between the worlds freely. To summon the shade of a Druid Ancestor is to face death. Conjure a circle in the place most sacred to the deity – a Protective Circle of Heads – Carved from the fruits of the Otherworld (be they Apples, Guords, Turnip, Squash and the New World Pympin/pumpkin). There should be nine carved heads, lighted and facing outward. Herb, Flow’r and Tree is mixed with Mistletoe as an incense burned with Oak. When possible, use wood sacred to the Druidic Deities as provided in the following lists. These deities may also be called to aid in making contact with trees of the related energy. If the GHOSTFLOW’R is not available, BELLADONNA (Black Nightshade) may be substituted. **NOTE** Many of the herbs listed in this blog are POISONOUS and should not be ingested. BRAN – “Raven” Blessed King, god of protection and power. BELINOS – Sun god of fire, healing and inspiration. BARINTHUS – the “Ferryman”, god of teaching and mystery. LLEW – the “Many-Skilled” god of all crafts and trades. LLYR – God of the sea, rain and waters. LAIGHINOS – Teacher of battle skills. NUDD – the “Cloud maker” god of weather, storms and seasons. NUADA – Chieftain god of wealth, water, power and dominions. NWYVRE – God of stars and planets. FIONN – “Great Leader” god of architecture and strategy. FFAGUS – Beech god of forgotten knowledge and lore. FORMORIX – God of invention, under-sea and air travel. SAMHANN – God of death, Guardian of the Otherworld Gate. SUCELLUS – the “Good Striker” god of fighting and assassination. SILVANUS – God of herbalism, plant lore and healing. HAGFGAN – God of gems, precious stones and jewels. HESUS – God of prophecy. HEREMONIX – God of wells and underground rivers. DAGDA – the “Good God” All Father and God of Druidism. DIAN CECHT – Physician-Magician of the Tuatha d’Anu, god of healing. DIS PATER – Roman god of Pluto (Jupiter). TARANIS – the “Thunderer” who holds up the Empire of the Skies. TIGERNONOS – God of hills, mountains and valleys. TOUTORIX – “Ruler of the People”, the oldest god of war and power. CERNUNNOS – the “Horned One” Lord of the Animals and Forests. CROMM CRUAICH – the “Hidden One” God of Darkness and Death. CAMULOS – the “Red God” of Mars, War and Blood. MABON – the Divine Youth, god of music, poetry and beauty. MATH – God of Shapeshifting and magic. MYRDDIN – Sun God and keeper of Stonehenge. GOVANNON – the “Divine Smith” god of metal handicraft. GWYN AP NUDD – Otherworld Mound King, God of the Wild Hunt. GRANNOS – Sun God of ritual burnings and corn. PWYLL – God of Law, Justice and Cunning. PARTHOLONUS – God of Masons, the Architect of the Faeries. PRYDERI – Lord of Dyfed, God of adventure, travel and the open road. RONANORIX – the “Twice Dead” God of death and old age. RHONABWY – God of Dreams, the Unconscious Mind and prophecy. RUADANOS – God of Crossroads and travel. AMAETHON – God of agriculture. ARAWN – the Otherworld King, God of hunting, hounds and the pursuit. ALBIORIX – God of Poetry, Orchards and Streams. OGMA – “Sun Face” God of Eloquence, literature and scribes. OSSIAN – “Beautiful Youth” god of skills and swordsmanship. OWEIN AP URIEN – God of leadership and war. UATH MACH IMOMAN – “Son of Terror” God of Ancient Magic. URIAS – God of Ancient Wisdom and Supreme Knowledge. UAITHNE UMAI – God of pipes, harps and music. EOCHAID OLLATHAR – “Great Horse Father” God of Animals. ESUS – God of woodcutters and weaponry. ETHNIU – God of Language and Speech. ITH – God of Towers and Building. IALONUS – Gaulish God of Cultivated Fields. IORIX – God of Astronomy, Meteors and Space. DISCOVER THE BOOK OF PHERYLLT TODAY!!! !